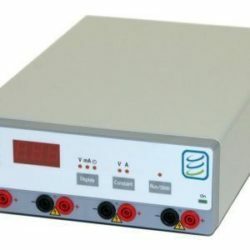 Whether you need a high voltage electrophoresis power supply or mini-power supplies, we have everything you need to keep your research moving. 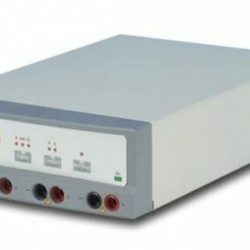 Expedeon EPS power supply units are programmable and provide 4 sets of output terminals, with timers and constant voltage settings, ensuring you have the necessary power for any laboratory work. Our mini electrophoresis power supply units are great for vertical and horizontal electrophoresis systems. Mini EPS power supply units are economical, compact and stackable, and use universal inputs that accept all domestic and international voltage options. Whether you’re buying a single unit for your existing electrophoresis equipment or an integrated blotting or electrophoresis system with power supply, we have all of the accessories you need to keep your lab functioning. Mini Power Supply Input: 96-240VAC, 50-60Hz, CE. Output 10-600VDC in 1V steps, 4-500mA in 1mA steps, 120 W maximum. This power supply is designed to run at up to 300V for use with any gel running tank. This unit is robust, small and reliable to give peace of mind when running gels. High Current Power Supply with timer, CE. 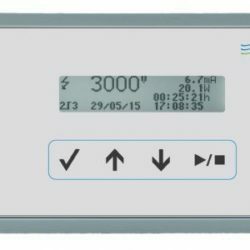 Input: 100 – 240 VAC, 50-60Hz, Output voltage 2-250V in 1V steps, CV or CC. Output current: 10-2500mA in 1mA steps, 200 Watts. Economical, compact and stackable. High Voltage Programmable Power Supply This high-end robust and durable electrophoresis EPS-3000 Plus power supply unit comes bundled with a plethora of features listed below, including a graphical display for ultimate ease of use right from set up and reportability, with the capability to show overviews of previous runs.